Guimarães, a small city in northern Portugal and Maribor in Slovenia have been elected as two European Capitals of Culture for 2012. The European Capital of Culture is event designated by the European Union for a period of one calendar year during which it organises a series of cultural events which give European cities the opportunity to highlights the richness, diversity and shared characteristics of Europe's cultures. 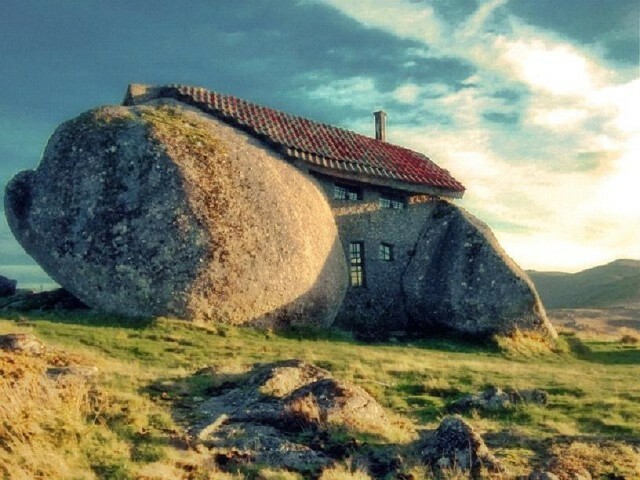 Guimarães is a northern Portuguese city located in the district of Braga, nestled into a valley in the mountainous Minho, approximately 350km north of the capital, Lisbon. Despite you probably didn't heard off, it has all it takes to be new cultural destination: medieval centre, distinctive gastronomy and a lively nightlife and arts scene. Its programme for the year focuses on four themes: City, Community, Thought and Arts. The rich repertoire of events will range from music, cinema and photography to fine arts, theatre and dance. 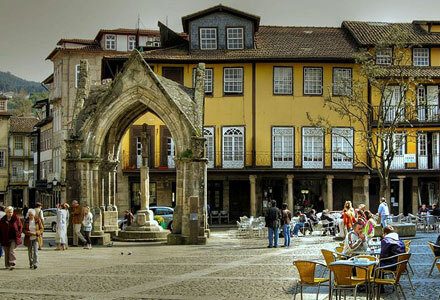 Guimarães was the first capital of the burgeoning kingdom of "Portucale".T he historic town of Guimarães is associated with the creation of the Portuguese national identity in the 12th century. It is an exceptionally well-preserved and authentic example of the evolution of a medieval settlement into a modern township. Also, tradition has it that the boy who would one day be crowned the first King of Portugal in 1179 was born and baptised in Guimarães in 1111. 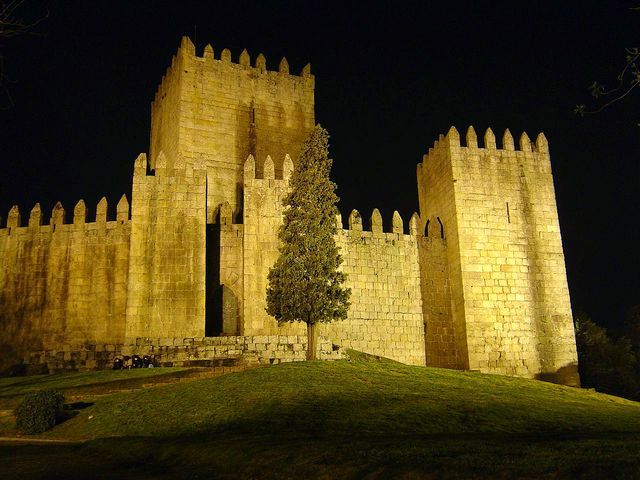 So Guimarães is commonly and proudly referred to as the Cradle of the Nation. 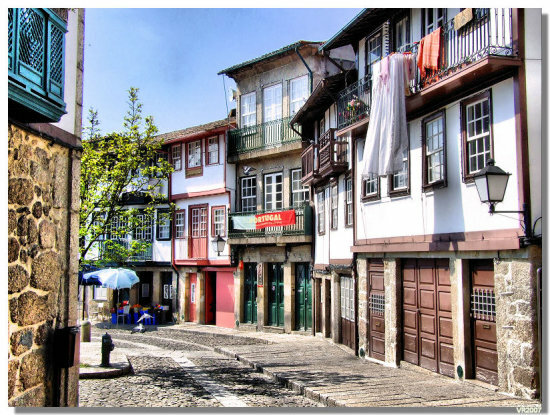 The historical center of Guimaraes, Toural Square was granted by UNESCO as “World Heritage Site”. This is also the city’s social centre, lined with shops as well as cafés, where locals meet and catch up on gossip and news. Another historic centre is Largo da Oliveira which is more leisurely and it is Portugal‘s most beautiful medieval square. This is one of the most visited palaces in the country. Its unusual imperial-Gothic grandeur are iconic of Guimarães. This impressive fortified mansion was originally built in the 15th century, but underwent major (controversial) restoration works between 1937 and 1959. Children love to explore its vast halls. Just before you get to the castle, you can see the imposing modern-day statue of Portugal’s first king, Afonso Henriques, welcoming visitors. The origins of the castle date back to the 10th century and it played a key role as a defensive stronghold throughout the ages. Nowadays it offers great views of the surrounding area. If you’re not afraid of heights, take the cable car up to the Penha mountain and Sanctuary which seems to be perched up on the rocks. It has wonderful views and a huge park. If you like hiking, there are signposted trails that will lead you up to the mountain. Outside the historic center, young creative talent is attempting a similar feat, transforming the city’s semi-derelict industrial zones into hives of artistic enterprise. One of these buildings is now home to the Center for Arts and Architecture. The Casa da Memória (House of Memory) is set in another former factory, will be a repository for the city’s culture and history. The sprawling Vila Flor, though, has been at the helm of the city’s awakening, hosting everything from open-air Shakespeare productions to large-scale gigs by foreign indie acts. Guimaraes Auditorium's Culture Cafe is a popular place for students and artists who drop by for a coffee and to work at their laptops. The culinary landscape is also changing, and in some unusual spots. From central Guimarães, take a winding 15-minute drive through a snaggled landscape of hillside textile factories, many abandoned, and you reach the restaurant São Gião. Since opening in 2005, its refined take on traditional Portuguese cuisine has earned it a reputation as one of the best restaurants in the north of the country. Panoramic windows offer views of wooded slopes and a vineyard that provides the restaurant’s house white: a crisp, slightly effervescent vinho verde. Don’t miss the Guimarães 2012 shop in Rua de Camões, where you can buy tickets for the events, books, local handicrafts and design products from Vista Alegre ceramics or Cutipol (which has its cutlery factory in Guimarães and a shop in Largo do Toural). It also functions as an information kiosk. Near the historical centre of Guimarães, set on a hill overlooking the city, we find the majestic Pousada de Guimarães, Santa Marinha. This is probably one of Portugal’s best pousadas (luxury hotels in historic buildings). Set in a monastery built in the 12th century for Augustinian friars, the building has been rebuilt and restored throughout the centuries. From the 16th century onwards the monastery belonged to the Order of St Jerome, when they built the beautiful balcony with a fountain surrounded by white and blue tiles, known as Varanda de São Jerónimo. This historic luxury hotel has unique charming points, like the superb gardens, to be counted among the best Portuguese’s gardens, a magnificent stone staircase and an artificial lake can be found among the trees. Everywhere you look there is a history and art, but the people are certainly one of the best features of Guimarães. Friendly and generous, smiling and hospitable. 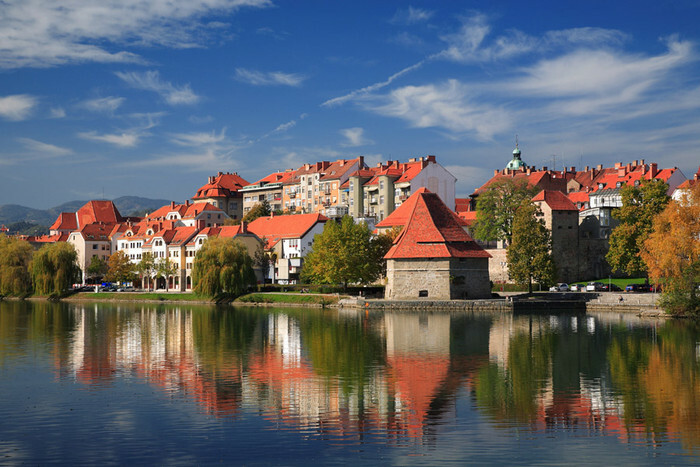 Maribor, 2012: This Slovenian city shares the title with Guimarães next year. The picturesque university town on the Drava boasts a 16th-century castle that houses a festival hall and Slovenia’s richest museum collection. There are 412 projects on the programme, of which 283 will take place in Maribor. More than 4,000 events are planned for the year, from classical concerts, children’s festivals, exhibitions and films to productions, readings and theatre performances. Every month there will be lectures by prominent figures from the world of art and philosophy. The biggest event on the city’s calendar is the two-week Lent festival, a celebration of folklore and music on stages set up in the Old Town. 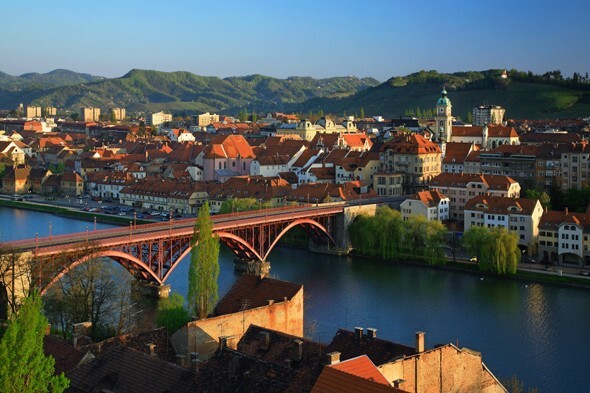 Maribor is a medieval city with beautiful churches, galleries, museums, with great theatre, a beautiful castle, mansion and more. Visit The Old Vine House where the oldest vine in the world can be found . The house is now a museum dedicated to teaching visitors all there is to know about the wine culture of the Styrian region of Slovenia. At 400 years of age the vine has claimed its rightful place in the Guinnesss Book of Records and still bears the Zametovka or Blue Franconian grape, one of the oldest wine types in the country. One of the largest classical wine cellars in Central Europe is located in, or rather under, the heart of Maribor. Mestni Park (City Park) just north of the city centre is definitely one of Maribor's best features - also the city's best place to relax. Maribor Castle is a mansion, a beautiful architectural monument in the heart of the city. Now, it is home to the Regional Museum of Maribor, which boasts an impressive collection of artifacts from around the area. Besides Maribor there is a Ptuj, the oldest town in Slovenia, which will host one of the most important festivals in Europe in 2012, in which poets from all over the world meet for Days of Poetry and Wine, and will also feature its traditional ethnographic carnival Kurentovanje.